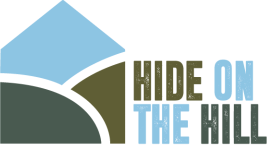 Hide on the Hill expects walkers and cyclists. The moors and levels are unique. They have been shaped and engineered over the centuries to utilise a former flood plain with hundreds of miles of linear droves, rhynes(ditches), canals and bridges. It is PERFECT for easy and remarkably quiet cycling and rambling. There are few hedges so its safer to cycle. Set off from the house in any direction on quiet roads towards a town, authentic pub, historical site or lake margin. The Strawberry Special, Draycott. What a a great name! Where strawberries come from. and not forgetting the legendary Wilkens Farmhouse Cider Barn - you can smell the cider it's so close!